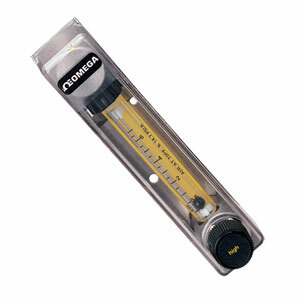 OMEGA™ FL-1900 Rotameters provide an economical means of flow rate indication. Designed for applications where accuracy requirements are not severe, these instruments are ideal for such services as purging, seal oil systems, bearing lubrication, and cooling water flow indication. These flowmeters feature 316 SS end fittings with PTFE glass and FKM wetted parts at an economical cost, providing an alternative to comparable higher-priced units.